Paul’s epistle to the Romans is widely celebrated for its detailed treatment of gospel truth and exhortation to transformed biblical living. It was the section of Scripture that led to Luther’s salvation and lit the fire of reformation in his heart. It’s a book that has been used by God to save, edify, and instruct countless believers throughout the ages. In today’s post, I want to draw your attention to probably the least beloved portion of Romans—the close. Paul makes a turn in Romans 15:14 and begins what is the lengthiest close of any of his letters. If you pick up a commentary on Romans, it’s likely to go faster through this final chapter and a half than through any other section of the book. Still, in Paul’s ending to Romans, there is a terrific portrait of faithful ministry. Paul begins his close by reiterating his desire to come to the Roman church and minister to them and with them. He encourages his readers, explains his desire that his epistle would sharpen them, and tells of his desires for continued gospel work. He knew his calling was to preach Christ, and that is what he set out to do. Wherever the Lord would take him—be it Rome, Spain, or anywhere else—Paul would be focused on proclaiming the gospel. Friend, if we are to be faithful in ministry, we must not get away from the task at hand. We are to make disciples, to be Christ’s ambassadors, to faithfully proclaim the gospel. 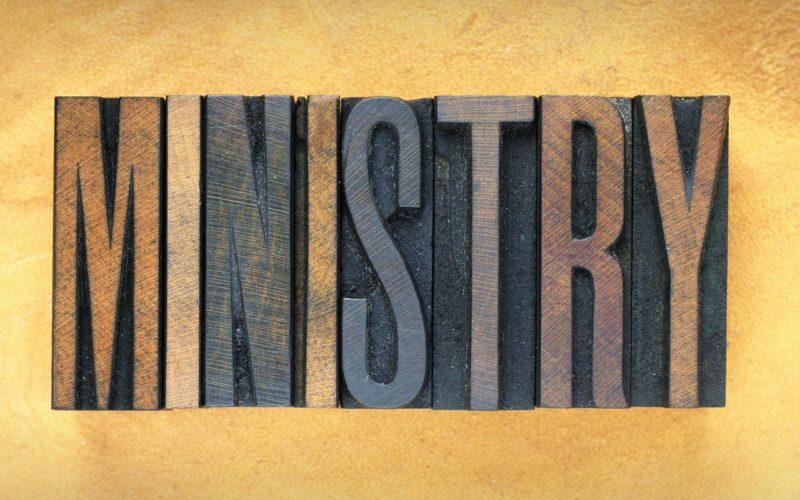 Our ministry must be, first and foremost, a gospel work. Paul shows throughout the close of his letter (as he also stated in the open) that he longs for a chance to fellowship with the Roman believers. He wants to see them in passing and to be with them for a while. And it’s not only the Roman church he wants to fellowship with. He also longs to fellowship with the church in Spain and Jerusalem. Paul consistently showed his desire for fellowship with other believers. It’s easy—with the unending demands of ministry—to get so busy that we neglect the simple beauty and profound blessings of fellowship. However, we ought to take a lesson from the apostle Paul and make a priority of just being with other believers, of being encouraged and being an encouragement, of fellowship. The close of Paul’s epistle to the Romans also shows us the apostle’s commitment to prayer. He prays, blesses the believers, requests that they pray for him, and offers a doxology of praise. If you look through Paul’s epistles, you’ll find nearly every one contains a prayer for its recipients. Paul was clearly committed to prayer. Here’s an example of Paul also asking that those he’s writing to make intercessions on his behalf, particularly asking that they pray for protection and faithfulness in ministry. If we are to be faithful in ministry, it cannot happen apart from prayer. We must be men who continually humble ourselves before the throne of grace, and we ought earnestly to seek the prayers of the saints on our behalf. Faithful ministers—indeed faithful men—are men of prayer. Romans chapter 16 contains the most personal greetings of any of the New Testament epistles. In it, we see Paul time and again affirming those he’s writing too, describing them with words like “servant of the church,” “helper of many,” “fellow workers in Christ Jesus,” “my beloved,” and “outstanding among the apostles.” He repeatedly commends his fellow believers for their hard work in the Lord, and he does so with personal, affectionate language. It’s a great example for all believers, especially pastors and shepherds. Friend, we ought to make it our business to encourage the body—and not just in our preaching. We ought to be careful and intentional to encourage other believers in their work, to show them compassion and care, and to love them with proper, Christ-like affection. Paul’s close to Romans also demonstrates his desire for unity in the church—a unity founded on the purity of doctrine. He warns his readers to stay away from false teachers, whose demonic teaching would cause dissensions and factions. Not only does he pass on this stern warning, he also promotes unity, by making his readers mindful of the work the Lord is doing through himself and his fellow workers. As we’ve seen, Paul affirmed the godly workers in the Roman church. He also affirms the faithful teachers who served alongside him. In doing so, he reminds the Roman church of the unified, global mission of the church—to spread the gospel. If we are going to be faithful in ministry, we cannot expect to do it on our own. We must be unified with other saints. Our unity must be based on sound, biblical doctrine; and it must be focused on accomplishing Christ’s global mission. And with these beautiful words, he brings the focus back to where it should be—to where it must always remain for the faithful minister—to the glory of Christ. If we are to prove faithful in ministry, our efforts must be focused, above all else, on the glory of Christ. We must pray to his glory, study to his glory, preach to his glory, serve to his glory, love to his glory. Everything we do, must be to the glory of our Lord, Jesus Christ. TMAI is a 501(c)(3) tax-exempt nonprofit organization.